Constitute! 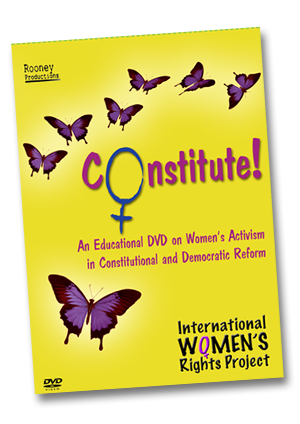 will be screened as part of the University of Windsor’s Distinguished Visitor in Women’s Studies series for 2012. The UWWS is celebrating 30 years of the Charter with a variety of community and campus based events. March 8th – International Women’s Day. See IWRP featured in Investing in Women and Girls. On March 8th, this year’s international women’s day Canada addresses both great challenges and promising opportunities for engaging women and girls for a better world at home and globally.